As good as any place to start, I suppose. 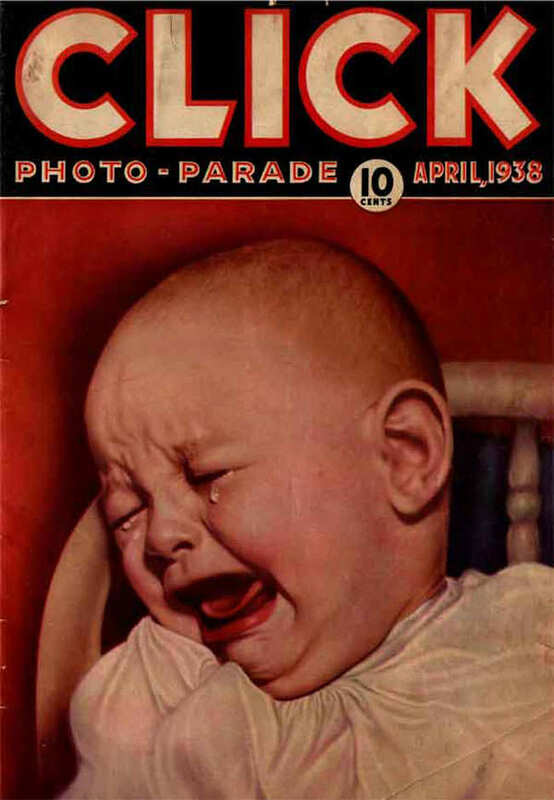 CLICK magazine was a large-format prole-rag with an isolationist bent. They certainly knew how to grab the buyer's eye, although who'd want to pick this up from the newsstand I cannot imagine. What did they do to that kid? Tell him Hitler was going to feed him cooked carrots? If I can infer anything from the one issue I've seen, it's this: the front cover was supposed to stand in stark contrast to the back cover. Which was . . .